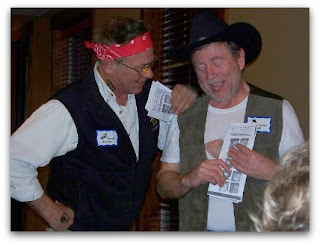 I usually try not to talk about my club too much-don't want you to think this is a Star Lions blog- but my club held its charter party last Friday. And it was so much fun, I just wanted to share some photos. Plus, I haven't had any photos on here in awhile and I really needed to add some color. 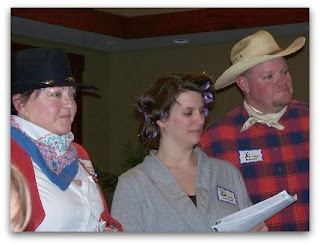 Was it Sheriff Sissy, Twila, trailer park owner, or the bingo caller/karaoke DJ, Dusty? Was it Rowdy, the biker, or Carney, the drifter? Or was it that slick preacher, Billy Bob, or his lovely wife, Mary Kay? Wow, what a great opportunity I had representing the Lions of 39W during the 39E convention which was held this last weekend. I am just amazed at the wonderful things that Lions do throughout our region. Now more than ever we need to work together for the betterment of serving others. The Lions of District 39E are awesome and I sincerely thank them for allowing me to enjoy, share and meet those who unselfishly give of themselves in Lionism. Makes me proud to be a Lion! Is it just me or did the past year just fly by? We're already one week into 2011-at least we got the resolutions written! The year started off with lots of blogging, lots of vision testing and some charter parties. The Boise Special Olympics Lions celebrated their first birthday in February. Then, it was time for the District 39W convention. DG Shirley's theme was a circus event complete with balloons, Lions, and clowns, or was it Lions that were clowning around with balloons? Also in February, the Lions came together to help the Winter Camp for the Blind stay afloat with generous donations-a proud moment in 2010! In March, Opening Eyes at the Idaho Special Olympics Winter Games screened 100 athletes. About half needed new prescriptions; most of the others received sunglasses or sports goggles. May brought the end of the district membership drive with Boise Special Olympics Lions bringing in the most members. The contest brought in over 50 new members throughout the district in 2 months. 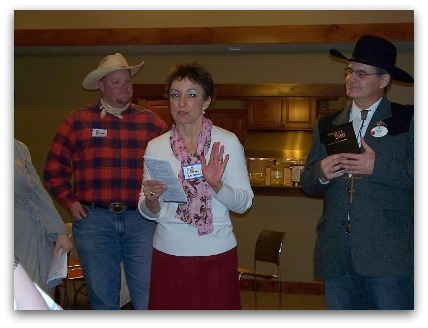 The Sun Valley (MD 39) convention celebrated the year with lots of awards, speeches, and parties. What a great place to network! June kicked off a series of "Lions After Five" events or actually Lions at "Alive After Five" in downtown Boise. It was see and be seen, raising some awareness for Lions and what we do. In July, DG Pat Brown took office as District Governor. He came home from the International Convention invigorated with new ideas and excited for the Lions' future. Actually, he was exhausted from the trip down under, but soon recovered and was then invigorated with new ideas. The streamlined Paw Prints premiered and the Lion news moved to the new e-Bulletin. Unfortunately, the editor still struggles with a proper schedule. In November, the blog reached its first birthday. Wow, lots of typing to do that. What's your favorite memory of 2010? Hit the blue "Comments" link and let us know!